While the Stanford bubble is notorious for isolating students from the larger world, the past year has seen a rise in activism and calls for change on campus, leading some to ask, has the bubble burst? (SOM-MAI NGUYEN/The Stanford Daily). Just over a year ago, the University announced the closing of popular sandwich eatery Ike’s Place, much to the chagrin of students who had enjoyed its being a delicious alternative to dining halls and other food outlets operated by Residential & Dining Enterprises (R&DE). A small group of students organized a protest in White Plaza, but the effort seemed light and expressive rather than one that actually expected to save Ike’s. If this year’s activism had been twice as intense as the Ike’s protest, the campus climate would still have been considered tame. “I absolutely feel that the campus climate is different, when last year, with the exclusion of [the Stand with Leah movement] at the very end of the year, the most activism we saw was about Ike’s,” said Deborah Golder, Associate Vice Provost for Student Affairs. After a historic meeting of the 16th Undergraduate Senate on Feb. 17, though, tension that had been mounting throughout the year finally reached a tipping point. On a campus known more for its startups than its activism, and on a campus known for its “bubble” that insulates students from the world at large, the campus climate was arguably more tumultuous than it had been at any point in recent history. Had the Stanford bubble finally burst? Though movements such as Fossil Free Stanford’s “Divest the Rest” campaign have seen significant rallies, petitions and marches, the most charged student activism on campus has centered around four main areas: Black Lives Matter, divestment, mental health and sexual assault. After the deaths of Michael Brown and Eric Garner over the summer and the subsequent no-indictment decisions for the police officers involved, coalitions on campus started to form to discuss and protest the decisions and make students aware of the national issue. 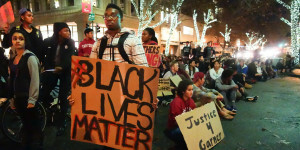 Most notable of the coalitions was the Palo Alto State of Emergency group comprising members from various social justice groups in the Stanford community. With the Silicon Shutdown demonstration, the #HandsUpWalkOut event and the obstruction of Highway 101 all occurring during “Dead Week” of fall quarter, campus activism had reached a turning point. Another coalition simultaneously sprung up around an international human rights cause, that of the Israel-Palestine conflict. In October, Stanford Out of Occupied Palestine (SOOP) called for divestment “from companies that enable and benefit from collective punishment, mass incarceration and the militarization of the police in Palestine and elsewhere.” SOOP’s petition for a resolution garnered over 1,700 signatures. Siddharth Patel, a graduate student and co-president of Stanford Students for Justice in Palestine (SJP), noted that the student activism fell in line with recent international attention and drive on the issue. The two movements — Black Lives Matter and divestment — merged during the San Mateo-Hayward bridge protest, during which a Palestinian flag was displayed alongside signs supporting the Ferguson Action national demands. According to some leaders of the Students of Color Coalition (SOCC), the specific state-sanctioned violence that both the divestment and Black Lives Matter campaigns claim to target has been an ongoing concern of students since well before this year. Mental health also proved to be a contentious issue going into the spring ASSU elections, as Counseling and Psychological Services (CAPS) was called out for its lack of resources. Last year’s Stand with Leah movement brought attention to the prevention of and education on sexual assault, a concern on college campuses nationwide. Discussion on the topic continued this year with the new Title IX office’s sexual assault and harassment investigations into Sigma Alpha Epsilon (SAE), the Leland Stanford Junior University Marching Band (LSJUMB) and others. One of the four issues — Black Lives Matter, divestment, mental health and sexual assault — was brought into the University’s spotlight when the ASSU Undergraduate Senate heard hundreds of students express their opinions on divestment. After the resolution fell short of the required vote count in Senate but then was reversed a week later, claims that campus climate had taken a turn toward the divisive began. Immediately following the passage of the resolution, which some members of the campus community felt was slipped under the table, social media, especially anonymous outlets like YikYak, exploded in a frenzy of name-calling, personal attacks and unrelenting outrage. The vote made international news, and some students believed the Senate had inappropriately made a bold political statement, outside the scope of its jurisdiction, that would only reflect negatively on the Stanford name. Ramah Awad ‘17, co-president of SJP, thought of the vote not only as a victory for those who wished to send a message to the University but also as creating a space for discussion around an important global issue. 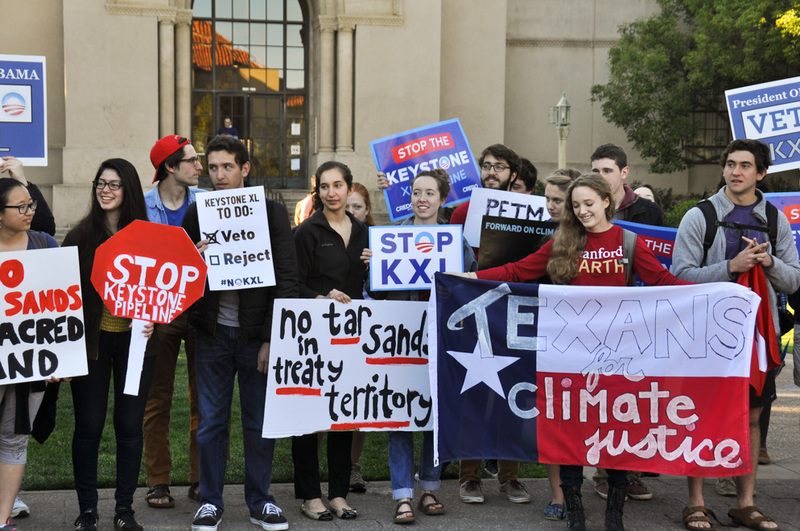 “During the campaign, divestment brought a lot of people to the table, and although we don’t always agree on end goals [and] we don’t always agree on strategy … the campaign really created a space for people to come and engage,” Awad said. 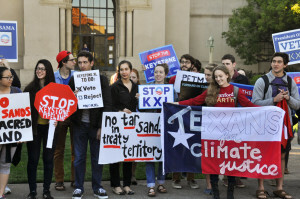 Furthermore, the most recent Stanford Magazine cover story claimed that the administration is “worried that the divestment movement could endanger the university’s reputation, especially with Jewish families.” Alumni have been concerned with how the resolution has reflected on Stanford’s image, according to Howard Wolf, vice president for alumni affairs. Students responded to the statement on the Diaspora email listserv, most notably Manny Thompson ’14 and Senator Malcolm Lizzappi ’17. Thompson, one of the leaders of the activist community, attacked the Provost for what he perceived were empty promises of dialogue and change. “Talking to one another is the only way I know to clarify misunderstandings and make forward progress,” Etchemendy replied. Many were put off by these interactions between student activists and the Provost, even to the point of creating a website and petition to recall Lizzappi because of his “objectionable” comments in the email thread. Former Senate candidate Brooks Hamby ‘18 was surprised that students could be so opposed to dialogue. With the whirlwind of what some termed “divisiveness” on campus, anonymous forums again became the method of choice for students to express their thoughts, feelings and concerns on the campus climate. Posts contemplating suicide, attacking individuals and making light of oppression pervaded Yik Yak and Whatsgoodly, leading to op-eds condemning the use of anonymous platforms for bullying purposes. The campus climate has changed — but does that mean any divisiveness has changed campus for the worse? Dereca Blackmon ’91, director of Diversity and First-Gen Education and Training, said there is reason to have hope. Although Ike’s most likely will not be returning to campus, the University is working on developing a plan of action over the summer to address the concerns raised on the four major issues, according to Vice Provost for Undergraduate Education Harry Elam. While none of the issues have been solved, most would agree that progress has been and will continue to be made, whether that comes in the form of institutional change or the vital role that awareness has played this year. Vice Provost for Student Affairs Greg Boardman said that for all the engagement that the school has witnessed this year, there is a silent majority that the administration would still like to hear from. Tristan Vanech is a sports managing editor and former news desk editor on the campus life beat. A Symbolic Systems major from Venice, CA, Tristan loves playing basketball and football. His most notable accomplishment at The Daily is leading its flag football team as quarterback to break a three-year drought in the annual Ink Bowl against the Daily Cal. Ball is life. Email him at tvanech@stanford.edu.